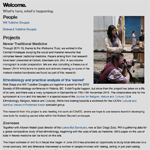 Conservation Management Plans (CMPs) are valuable tools for developing informed management strategies for historic designed landscapes, and typically include research on a site’s history, development and surviving state, and taken together they form a sizeable body of material on the UK’s designed landscape heritage. To harness the potential of this information, The Garden History Society maintain a reference list of CMPs and related research for historic designed landscapes. 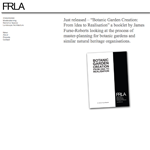 This was made possible with sponsorship and support from English Heritage. 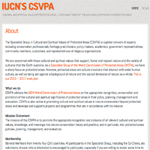 Link to the IUCN Specialist Group in Cultural and Spiritual Values of Protected Areas (CSVPA) website linking the global network of experts including conservation professionals, heritage practitioners, policy makers, academics, government representatives, community members, custodians, and representatives of religious organisations. 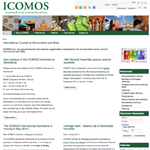 Website of ICOMOS, the non-governmental international organisation dedicated to the conservation of the world’s monuments and sites. 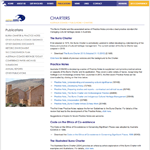 The Burra Charter and the associated series of Practice Notes provide a best practice standard for managing cultural heritage places in Australia.